With support from Sida, the Zambia Business in Development Hub started operating in September 2014. Hosted by AMSCO, the Hub includes a National Coordinator and three full time brokers, each focussing on a specific sector, and actively brokering a range of partnerships. TPI has been extensively supporting the Hub through capacity-building of the hosts, mentoring, running trainings and providing direct support to some of the partnerships. There is strong engagement from all key sectors through the active multi-sectoral Advisory Group, which meets regularly and has been highly supportive of the initiative. Support the development of a number of impactful, cross-sector partnerships. Brokering a manufacturing and skills development partnership to increase the employability of participating citizens and develop a skilled human resource for enhanced firm productivity in the manufacturing industry. For more details on the services offered by the Zambia Hub, download the flyer. 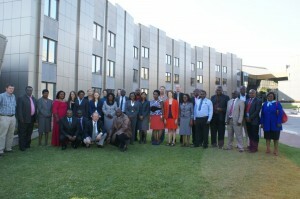 Full information about the Hub and its projects can be found at the Zambia Hub website.